℗ & © 2009 Virgin Records Ltd. The copyright in this sound recording is owned by Virgin Records Ltd.
All tracks published by Imagem Music Ltd, Copyright Control. Design at We Art You. Label printed as Virgin Records on the sleeve. While I think the title track might be one of Jamie T's weakest (and also prolly most commercial ones) A2, St Christopher is as awesome as singer/songwriter stuff has gone in the last years. 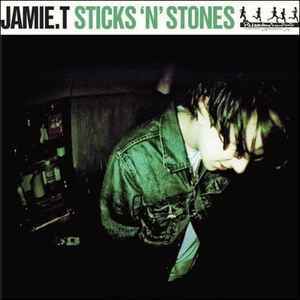 Generally, just judging from discogs, it seems to me that Jamie T is a certainly highly talented musician whose releases still get sadly overlooked by many who would love it. The Man's Machine EP is actually ace, for example.